Baltimore - Loyola College removed a Jesuit clergy member from campus last month who had been fired from a Dallas Jesuit high school 13 years ago because of numerous allegations of sexual misconduct and admittedly serving alcohol to minors, the Maryland Province of the Society of Jesus and school officials acknowledged this week. In 2002, the Rev. Philip Postell, president of Jesuit College Preparatory School in Dallas, admitted he fired maintenance supervisor Claude Ory, now 69, in 1994 after repeatedly hearing allegations of sexual impropriety, providing alcohol to minors and ultimately sexual assault, according to a story published in the Dallas Morning News. 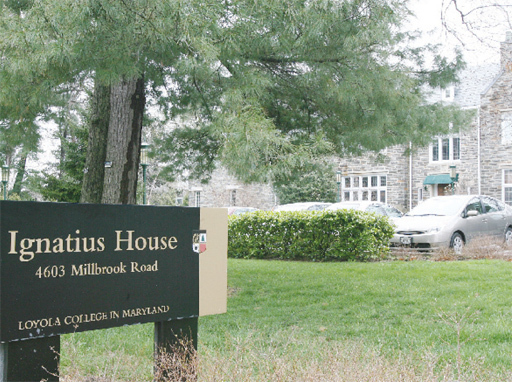 Maryland Province spokeswoman Kate Pipkin said Ory was eventually assigned to Spring Hill College in Mobile, Ala., in 1995, before being transferred in 2000 to Baltimore's Loyola College campus, where he was in charge of managing the Jesuits' Ignatius House residence hall until recently. Pipkin said Ory was removed from campus because of the earlier allegations at the recent request of Loyola's president, the Rev. Brian Linnane. Loyola College last month removed a Jesuit clergy member. The Rev. David Allen, reached by phone, said he replaced Ory on campus March 12 and was told that Ory "was on sabbatical." Allen said that neither Loyola nor the Maryland Province informed him of the allegations involving Ory and that he was not aware of the Jesuit brother's background until contacted by Wednesday. Linnane did not return phone inquiries asking why he suddenly requested Ory be removed. Loyola spokesman Mark Kelly said he believed Linnane learned of the allegations involving Ory and his previous admission of serving alcohol to minors when he became president in 2005. "The college felt, and the Jesuit Province agreed, that it did not want someone with any of those kind of allegations near campus," Kelly said. Pipkin said she isn't aware of any new allegations involving Ory, who was not criminally charged in connection with any incidents in Dallas. Pipkin would not reveal Ory's next assignment "to protect his privacy." Pipkin said that in 2003, following a U.S. Catholic Conference of Bishops suggestion, the Maryland Province reviewed its order's members' records, and Ory's case specifically, and determined that he should remain in his position on campus. "His work should have been restricted earlier and it was not," Pipkin said. "We tried to address it by limiting the scope of his work." Ory is at least the third Jesuit clergy member with substantial sexual abuse allegations to be transferred from a Jesuit high school to Loyola College. The Rev. Cornell Bradley was removed from active ministry in January after a former Washington Gonzaga High School student came forward with allegations from the 1970s that Bradley was "unable to deny." The Maryland Province of the Society of Jesus, in a Jan. 29 news release, acknowledged three other allegations — two involving minors — ranging from 1968 to 1988. Bradley lived at Loyola Ignatius House from 1979 to 1981, and worked and lived in Baltimore from 1979 to 1989. Maryland Province spokeswoman Kate Pipkin said an investigation last year confirmed that Bradley, 69, committed sexual misconduct with a Baltimore male in the early 1980s, adding that criminal charges were not pursued, and that the statute of limitations has expired. Other allegations involving Bradley have been made more recently, the Maryland Province has confirmed. "The concern we have is that the Jesuits don't even understand how 'leaky' their system is," said Helen Daly, a priest abuse survivor from Towson and co-founder of www.survivorsnetwork.us. "If you just read the public record, you can document this stuff, and absolutely, there is a pattern of shuffling Jesuits after they allegations are made from a high school to college." The Maryland Jesuit Province acknowledged last April it found that a 2002 accusation of sexual abuse against the Rev. Garrett "Gary" Orr, who then taught at Georgetown Preparatory School, was "substantially true," Pipkin confirmed Thursday. Orr, who had already left to teach at Loyola College, denied the charge in 2003, and the school did not report the incident to police until May 2004, according to a Washington Times story last year. Orr remained at Loyola for the 2004-2005 school year in a ministry. His one-on-one contact with students was supposed to be limited; however, the college newspaper, The Greyhound, quoted students who said Orr helped coordinate prayer groups and retreats. The paper also said Loyola officials failed to inform students of the allegations against Orr — even after they were proven and he left the campus. Pipkin said Orr was transferred from Loyola's campus a year and a half ago, and was given a leave of absence, but she could not say where he had moved.